Triskele hares, tinners rabbits or simply, the three hares. This is 100x100cm on a deep edge canvas. 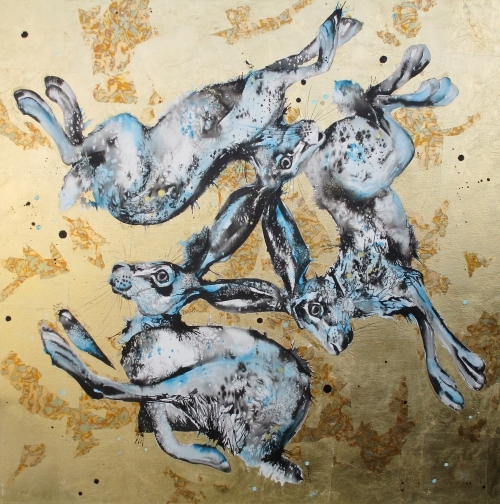 Painted in ink, watercolour and finished with gold leaf.